Syd played his last ever concert in 1972 in the Corn Exchange in Cambridge, Syd’s hometown. 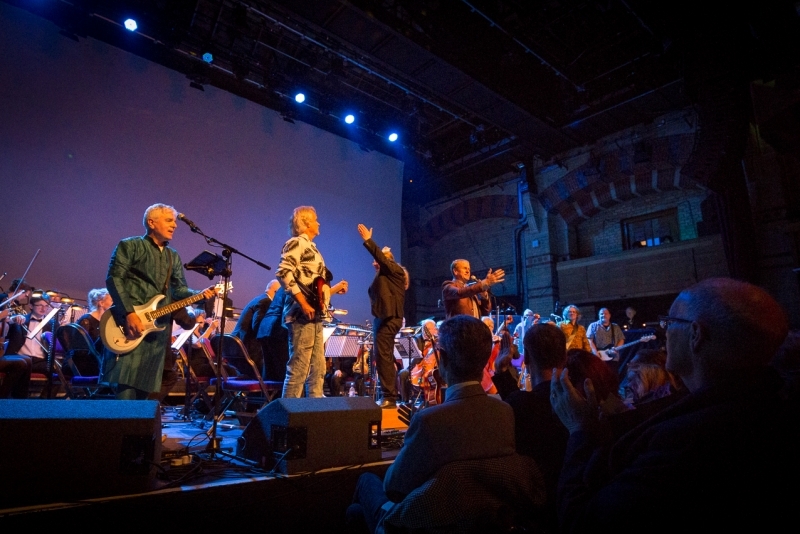 Forty-four years later, fans, friends and family of Syd joined together to celebrate his extraordinary life. 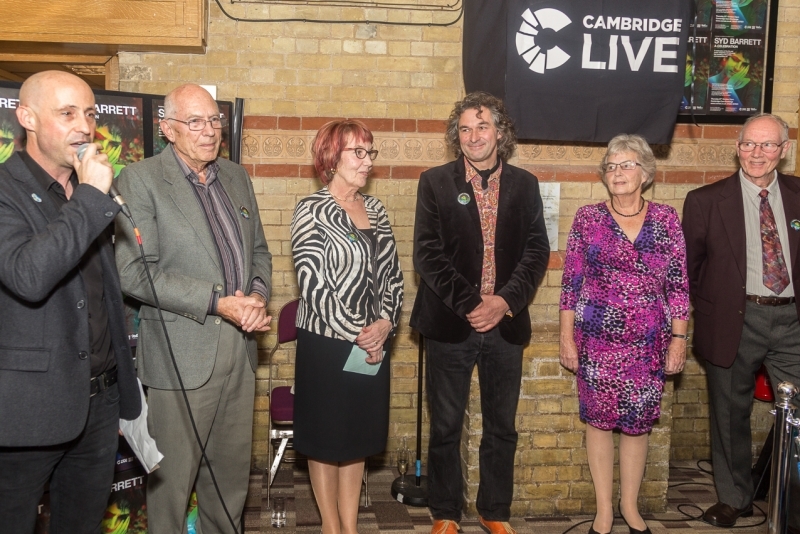 The video here encapsulates this special evening. 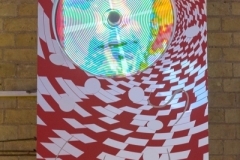 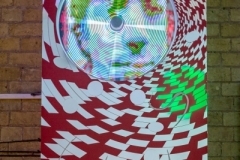 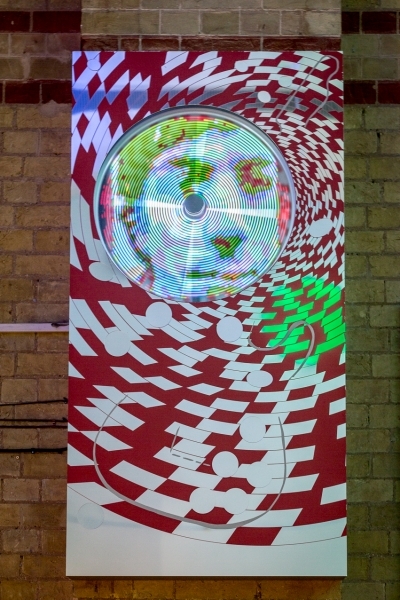 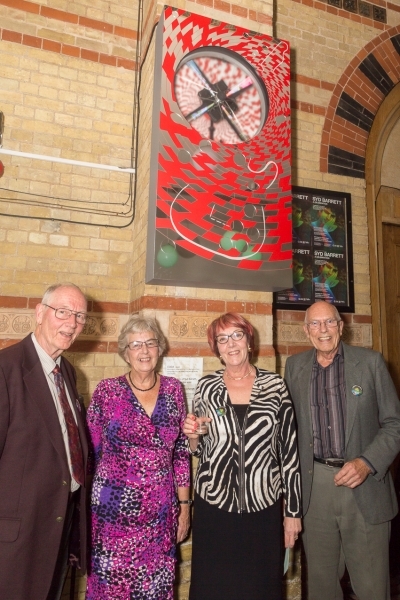 The event included the unveiling of a memorial to Syd; providing a psychedelic image of Syd within its hypnotic wheel. 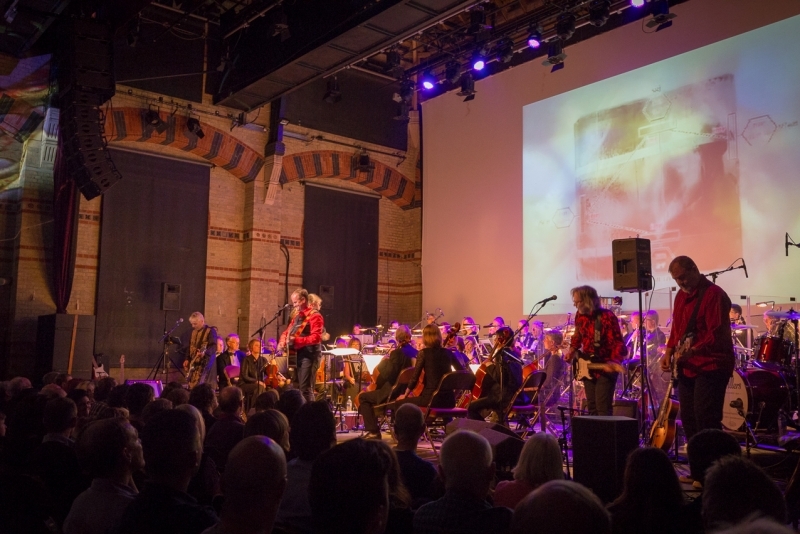 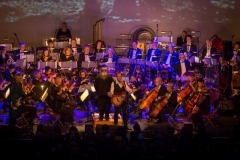 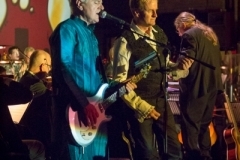 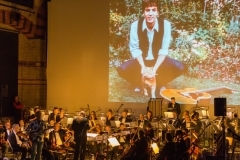 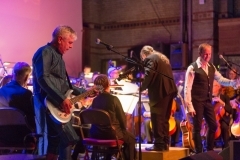 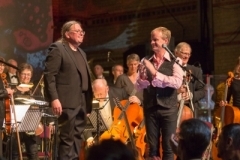 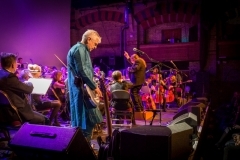 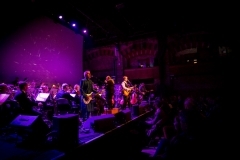 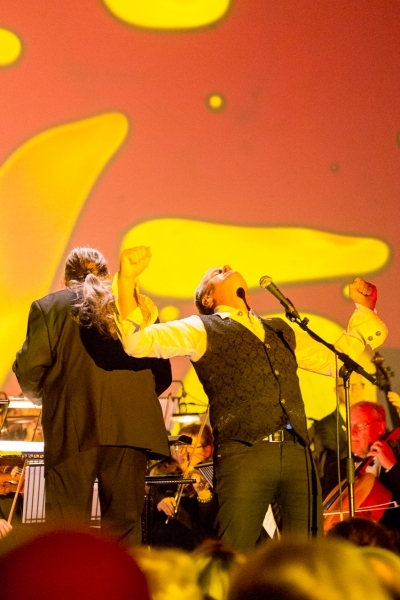 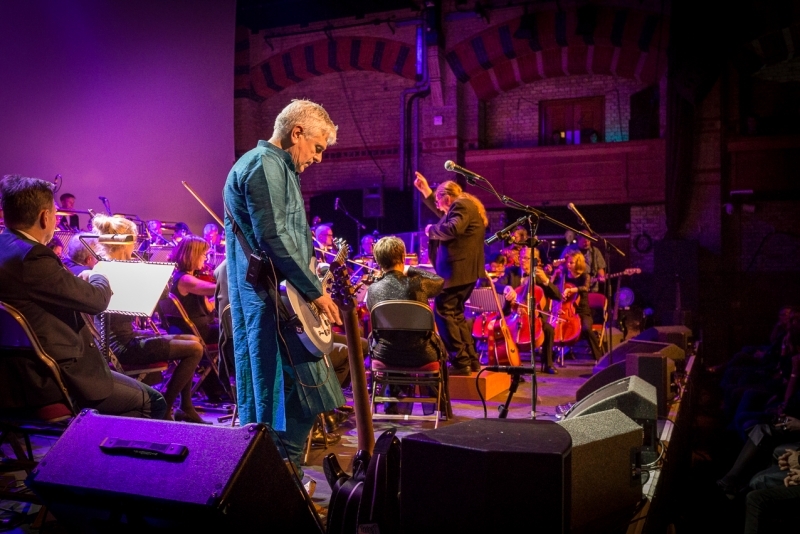 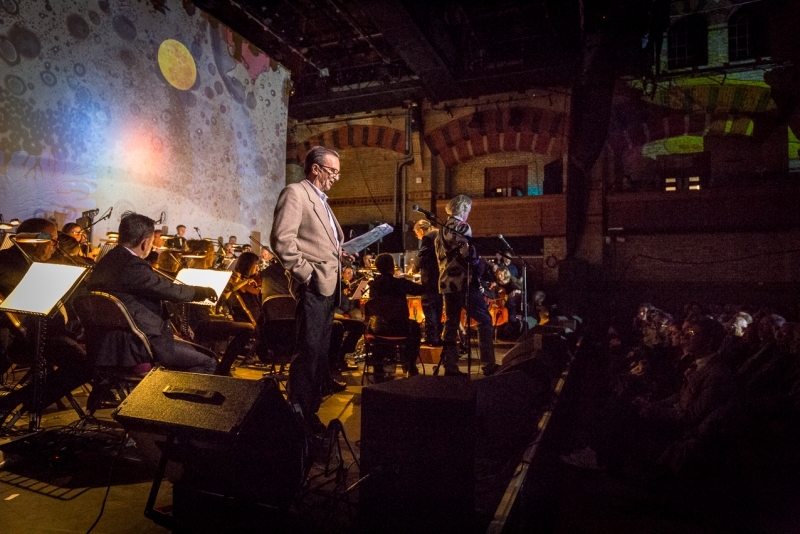 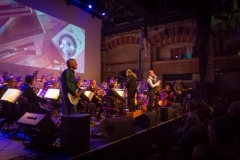 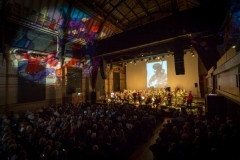 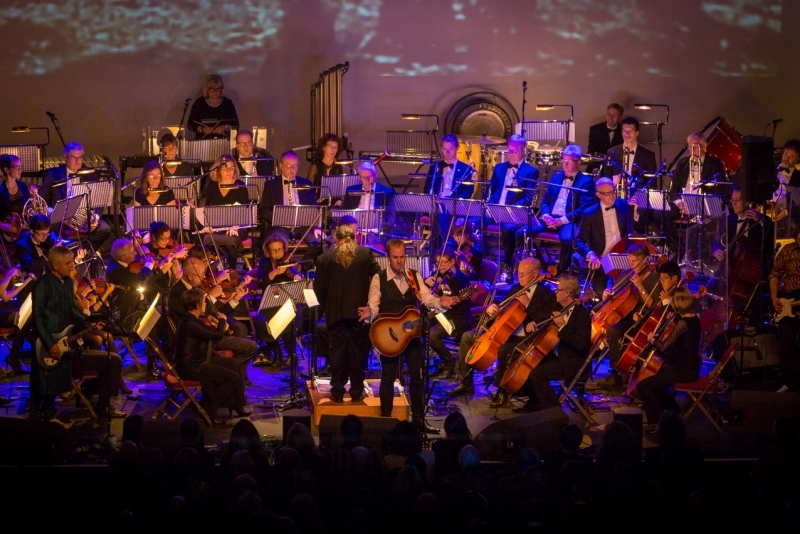 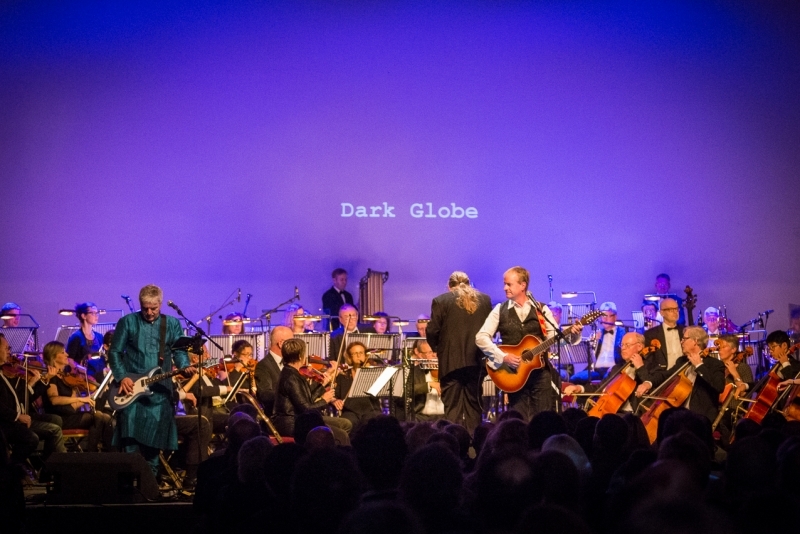 A celebratory concert followed this with memories and music as Men on the Border together with the Sandviken Symphony Orchestra and lights by Peter Wynne-Willson, interpreted the music of Syd Barrett and Pink Floyd. 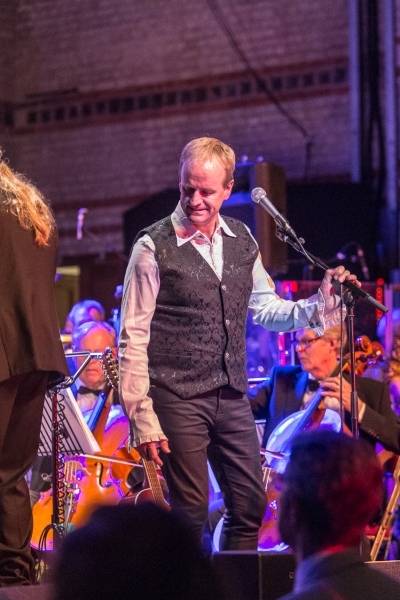 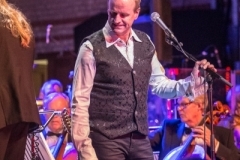 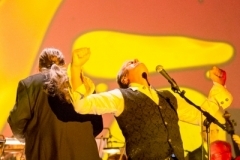 The concert featured symphonic interpretations of Barrett classics from his solo albums The Madcap Laughs and Barrett including the likes of Octopus and Terrapin with the repertoire flanked by an interpretation of Floyd’s High Hopes. 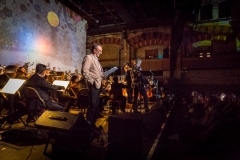 The concert included lighting from Peter Wynne Willson who worked with Pink Floyd between 1966 and 1968 when he created light shows for their performances at UFO and the Roundhouse and went on to design the lighting for the band’s UK, European and American gigs and tours as well as having worked with Roger Waters, Radiohead and U2. 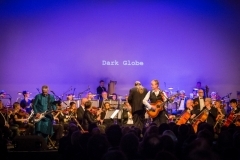 Narration for the concert was performed by playwright, writer and former friend of Syd, David Gale. 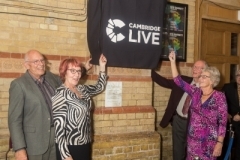 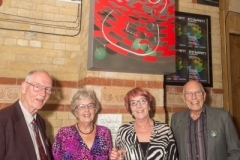 Operations Director, Cambridge Live and organiser of ‘Syd Barrett – A Celebration’. 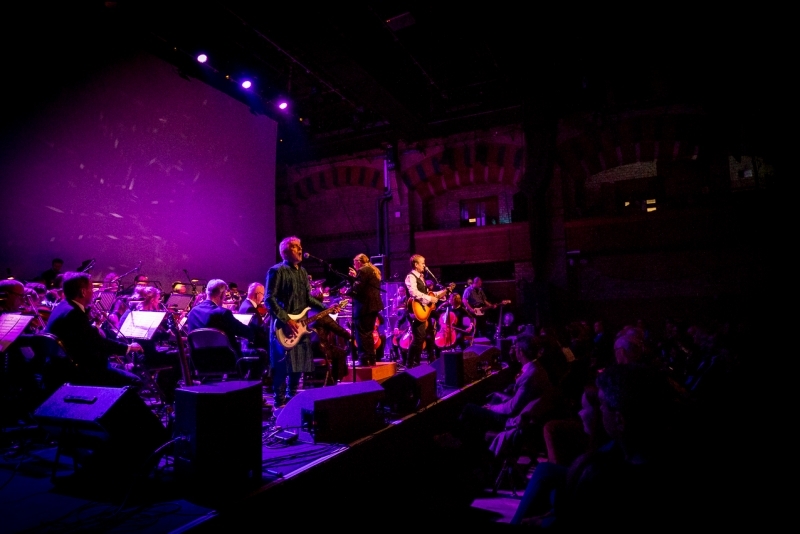 This concert was a joyful gathering of many who knew and loved Syd. 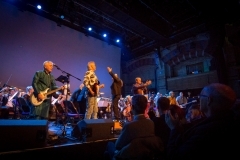 Syd brightens the globe again! 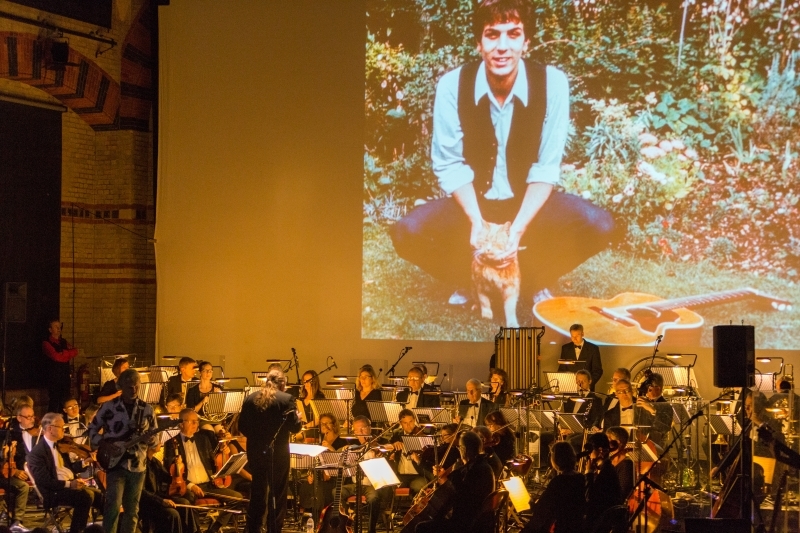 This was not just for those who loved Syd … but also for those Syd loved …. 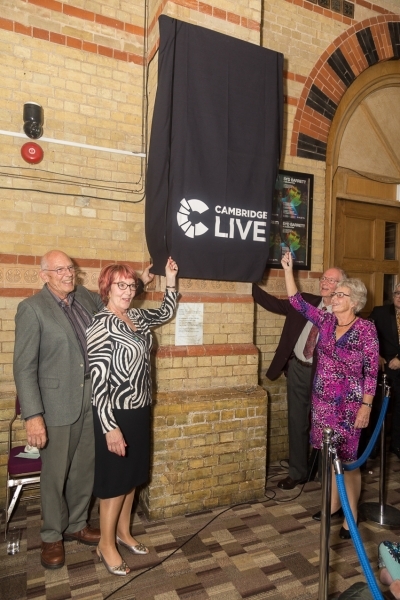 and the buzz of loved ones was apparent. 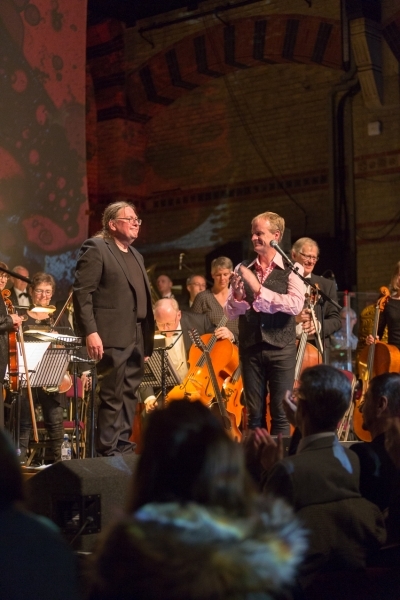 What an honour all round. 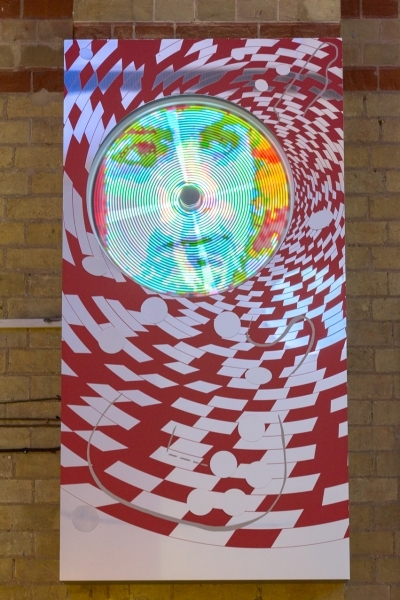 Libby Gausden Chisman – Girlfriend of Syd. Syd’s early and late songs, separated by a blast of fame that elated him then laid him low, are more numerous than many people imagine. 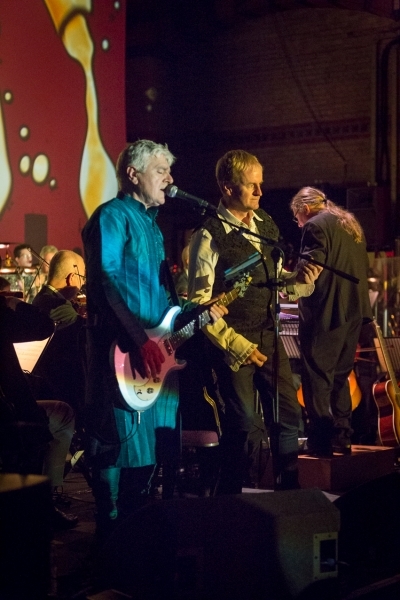 In the hands and guitars of Men on the Border and the fifty-five members of the Sandviken Symphony Orchestra, Syd’s songs aren’t just reproduced as respectful covers, they are rearranged and reinterpreted to considerable effect. The depth of sound this brought to the cavernous space that is The Corn Exchange was astonishing and made for a moving interpretation of Syd’s music. 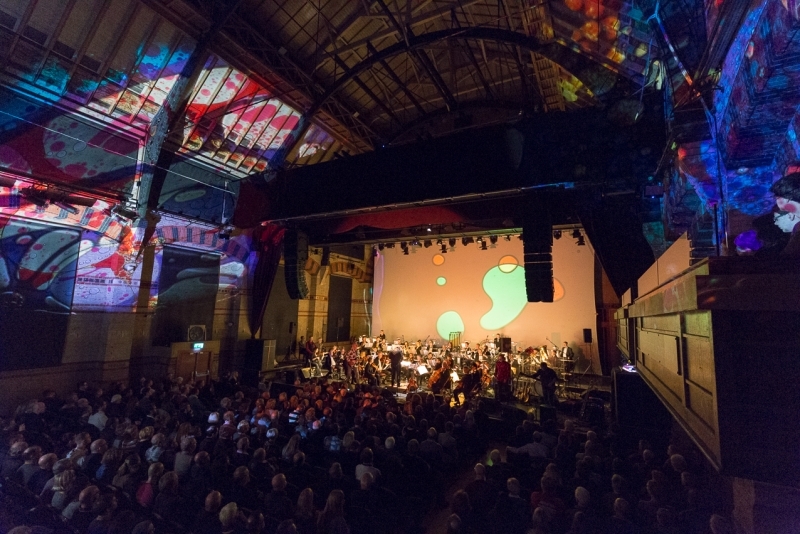 Pete Wynne Willson’s analogue slide show brought the whole building into relief with a mass of swirling colour, as images of Syd were projected onto the backdrop of the stage.